Ruth May Roberts, 93, passed away January 12, 2019 in Asheville, NC. She was preceded in death by her husband Thomas, her beloved brother John Rawlings, and her daughter Susan. Ruth and Tom met while employed at the Budd Co., and began married life in Huntingdon Valley, PA, a suburb of Philadelphia. Tom started business as a General Contractor, Ruth devoted herself to her family, serving in Brownies, GirI Scouts, and innumerable bake sales. 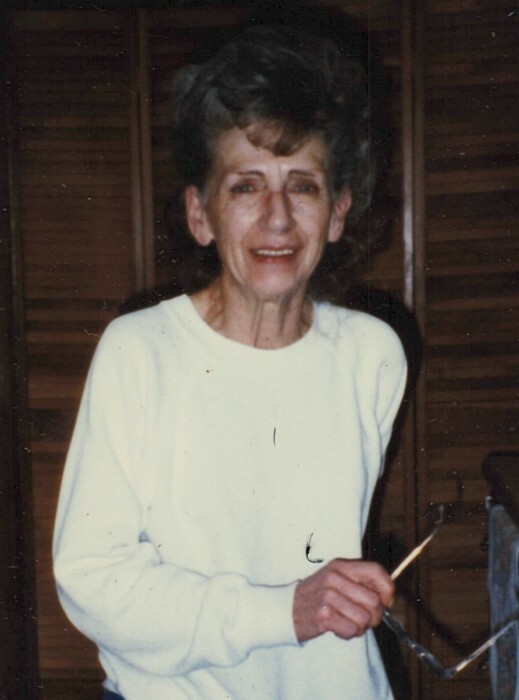 She worked, from home coloring architectural drawings, and then prepared meals at the High School. When her children were both in school, she returned to business school and began a career as an office manager, first for a tool manufacturer, then for a civil engineering group. Ruth enjoyed nothing as much as digging ln her gardens or preparing fabulous feasts for a crowd. She was noted for her meatballs and sauce, her mac and cheese, and my favorite, chocolate coconut pie. Her first concern to any visitor was “What can I make for you?” Tom and Ruth retired to Oteen, NC and continued to enjoy the fellowship of family and friends. She will be missed by many, including her son Tom, his wife Lorraine, and many nieces and nephews. She has requested no memorial service.